Chris Crum writes for Small Business Resources about what's new for small business. Chris was a featured writer with the iEntry Network of B2B Publications where hundreds of publications linked to his articles including the Wall Street Journal, USA Today, LA Times and the New York Times. 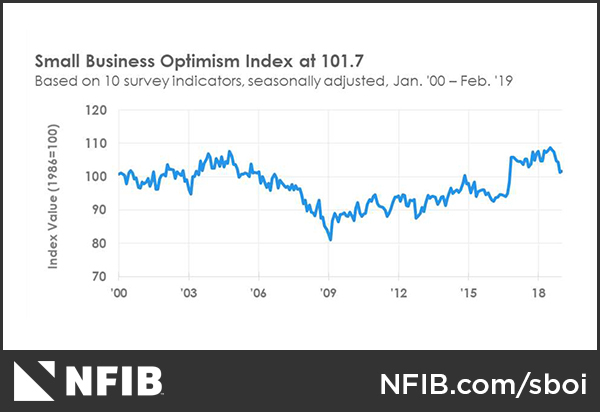 The National Federation of Independent Business (NFIB) recently reported on its Small Business Optimism Index, which improved .5 points to 101.7, after slipping several points earlier in the year. The report found weakening earnings trends, resulting from laid-off workers and people affected by the government shutdown who had cut back on their spending, causing sales to fall. In addition, worker compensation and selling prices were lower than in the previous month. Job openings recovered, however, with the NFIB reporting "historically high levels." The Index's uncertainty factor declined slightly, but continued to illustrate significant uncertainty attributed to the earlier government shutdown. At 101.7, the Index continued to increase from its lower readings in 2016. The following graph shows the index dating back to the year 2000. The Optimism Index is based on 10 indicators. See below for how businesses responded to each. As the NFIB notes, the Index is still well above the historical average of 98, but the effect the recent 35-day government shutdown and financial market instability have had on uncertainty is undeniable. In fact, in January, the NFIB Uncertainty Index rose seven points to its fifth highest reading in the 45-years history. In February, however, it improved one point to 85. Small businesses did add a net 0.52 workers per firm, which is the best reading that particular statistic has seen in 45 years. Twelve percent of small businesses (down three points) reported increasing employment an average of 3.2 workers per firm. Owners who reported inventory increases fell five points to a net two percent. This is attributed to the sharp decline in sales as owners tried to reduce inventories. The percentage of owners expecting higher real sales volumes remained the same at 16 percent. 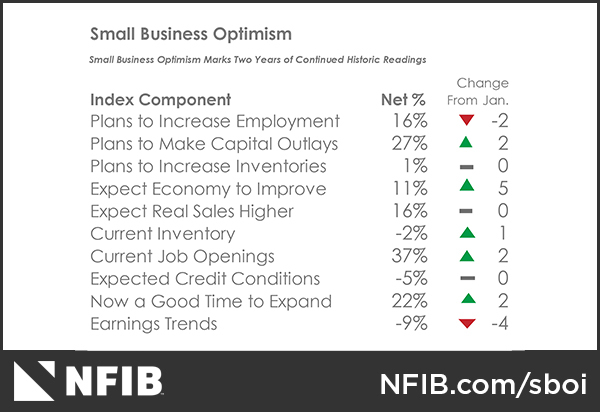 The NFIB also recently released its jobs report, which highlighted the 45-year record in job creation. Prior to February, the record was 0.51 workers per firm in May of 1998. The percentage of owners citing labor costs as their most important problem hit a new high. Ten percent said it's their biggest problem. Reports of higher worker compensation fell five points to a net 31 percent of all firms. 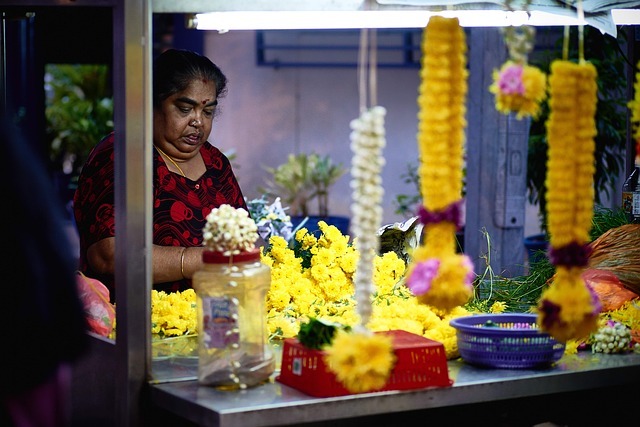 As the NFIB notes, uncertainty is not conducive to making permanent compensation commitments.